She was still in nursing school when the Mercy Ship bug first bit Lindsey. ‘I was instantly drawn to the vision and I just knew I had to serve on board one day,’ she reflects. Did you see Lindsey featured in TVNZ’s Sunday programme? 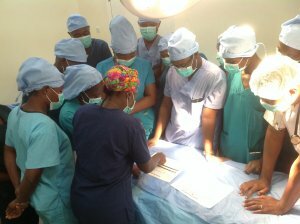 The Checklist is a simple tool that has been repeatedly shown to improve surgical outcomes and reduce mortality and morbidity. ‘One of the greatest challenges we face in tackling this problem is how to take proven interventions, and implement them successfully, at scale in low-income settings.’ Dr Michelle White. 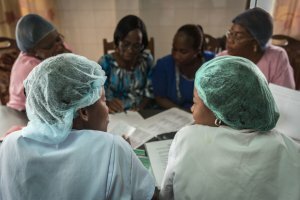 In Benin, Mercy Ships volunteer experts visited 36 hospitals and delivered three days of multidisciplinary checklist training at each site, teaching medical staff how to use the Checklist. 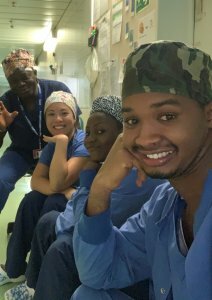 The aim was to see how great an effect Mercy Ships could have by running intensive courses in Checklist training across a whole country, rather than spending six to 12 months in a single hospital. Would the healthcare providers still be using the Checklist up to four months later? ‘We found that checklist use increased from 31% pre-training to 89% at four months and this was sustained at 86% 12-18 months later. Also after 12-18 months, there was high fidelity use and high penetration shown by an improvement in hospital safety culture.’ Dr Nina Capo-Chichi. 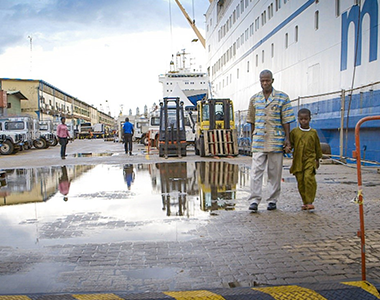 This evaluation, published in the BJS, forms part of the ongoing assessment of Mercy Ships field services in Benin. Assessing our work in this way enables us to improve the delivery of our projects and connect our work to tangible outcomes and impact subsequent field services; offer better healthcare strategy advice to host nations’ governments, and provide information to other non-governmental organisations working in low and middle-income countries. 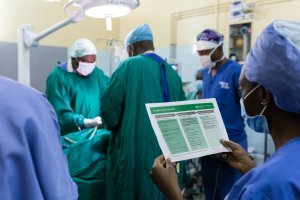 The paper also stands with a growing body of work led by female medics and jointly with professionals in both Western and Sub-Saharan Africa – a hallmark of the innovative and collaborative approach Mercy Ships is proud to promote. ‘Leaving a legacy of lasting change is crucial, so in addition to providing direct medical care on our hospital ship during a ten-month field service, Mercy Ships implements a programme focused on health system-strengthening and quality improvement across the whole country, with the goal of improving the medical care provided for generations to come,’ stated Dr Peter Linz, International Chief Medical Officer at Mercy Ships. 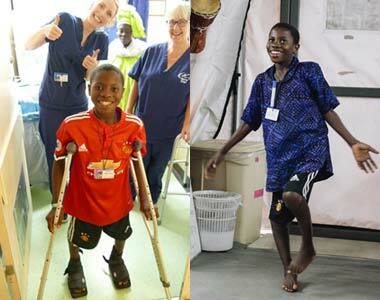 He is known as ‘Dr Neil’ onboard the hospital ship. 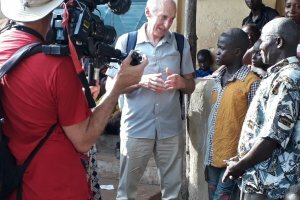 The title, a unique mix of friendly and professional, perfectly reflects the Mercy Ships community where the like-minded 450-strong volunteer crew lives, works and socialises together during each 10-month field assignment in West Africa. 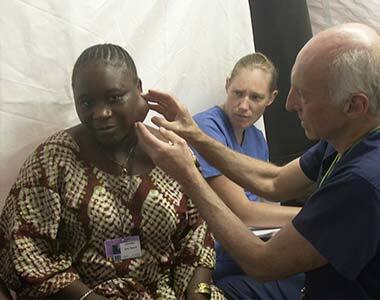 This is tour-of-duty is a stand-out one for Dr Neil. 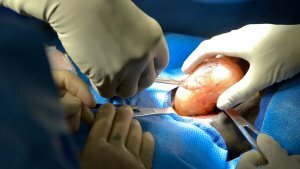 He is once again presented with cases that stretch him to the limit professionally – for many cases the removal of huge, complex, benign yet life-threatening tumours from the face and neck. 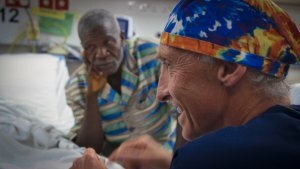 His patients had no hope of accessing life-saving surgery until Mercy Ships came to town offering free care. 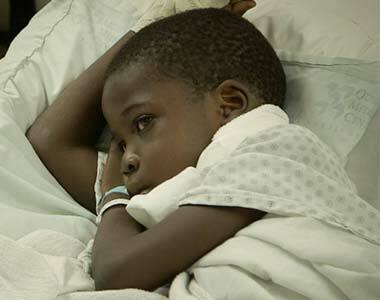 But this time Dr Neil hopes for the opportunity to visit one of his former surgical patients, a young boy named Alya. 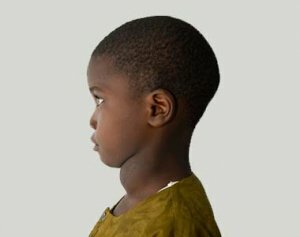 Can they find him five years later in post- Ebola Guinea? 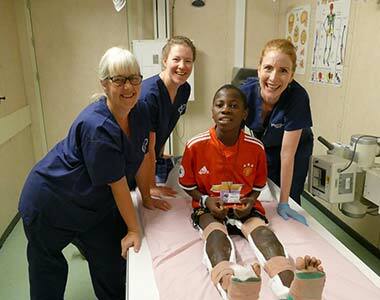 Did the free surgery on the Mercy Ship save and transform the eight-year-old’s life? 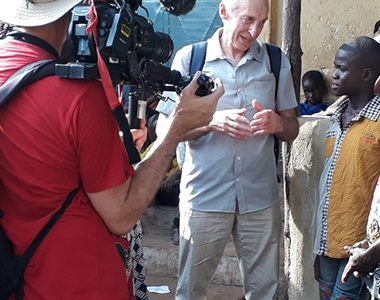 Dr Neil has many questions as he and Janine Boyes, the ship’s Purser from Matamata, travel to the village where they heard Alya is now living with his family.